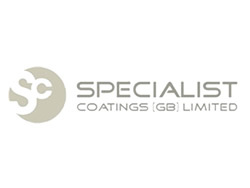 We have developed a database of several hundred specialised painting and tank lining materials from which we can choose. Because we do not manufacture the materials ourselves we are free to choose the most suitable material for each individual application situation. Whether it be a food & beverage application or for the containment of aggressive chemicals, noise reduction or high abrasion resistance, we have many materials and systems available, ranging from modified epoxy resins and glass flake reinforced resins to infinitely flexible elastomeric polymers. 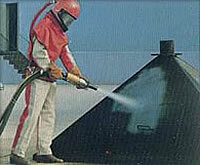 Materials that can be hand applied, or materials that require especially designed equipment to spray them. 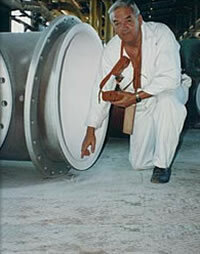 Solvent free, solvated or water based resins, high abrasion resistance materials or surface tolerant materials. The list goes on and on. We will survey the site, put together the team, organise the transport and equipment, get everything to the location, and perform the job - ANYWHERE IN THE WORLD. The essence of a good finish that is durable is careful surface preparation. All traces of the original lining together with any surface contaminates are removed by abrasive blast cleaning and to produce a strong mechanical key or profile for the new lining to bond to. Areas of welding, inlet/outlet nozzles and manways, entrances, etc. are checked for smoothness, and if required, any sharp projections are removed by grinding. The whole vessel is carefully vacuum cleaned to remove any extraneous matter. The materials that we use are manufactured to the highest international standards, in adherence with the ISO system. After the surface to be treated has been inspected, we work to the specification to apply an even layer of coating onto the surface. Research has shown that a thicker layer is not always better and that painting on the coatings is, in some cases, not effective. 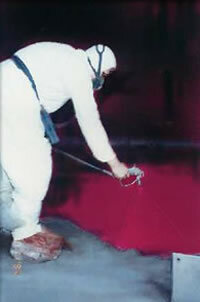 There are a number of methods of applying the new coating or lining. For large areas, the airless spray system is our preferred method, as in skilled hands, it can provide a quickly completed job that gives an even cover on all the surfaces - especially those difficult corners around the manway entrances and joint seams. During the preparation processes we are constantly monitoring the environmental conditions, temperature and dew point, using dehumidifiers and heating equipment to maintain the optimum conditions if required. During the blast cleaning process we are checking the amplitude of the profile and that the correct standard of cleaning is being maintained. During the actual application of the new lining we are measuring the wet film thickness or "WFT" of the new lining to ensure that the new lining is being applied in accordance to specification. After the coating is dry, or after each coat if using a multicoat system, we are checking the Dry Film Thickness or "DFT" of the coat and typically we would take 5 or 6 readings each square metre. Testing for the presence of micro porosity in the lining is most probably the most vital part of our QA system. In this we are meticulously testing 100% of the treated surface area. We typically expect to find several weak points during the first test, one or two after the second test and none before we leave the site.